David Riley has been an avid freshwater fisherman in New England for over 30 years since the first time his father took him trout fishing as a kid. He instilled in David a passion for the outdoors and the love of a tight line. As a teenager, David gravitated toward bass fishing and began to expand his fishing knowledge. 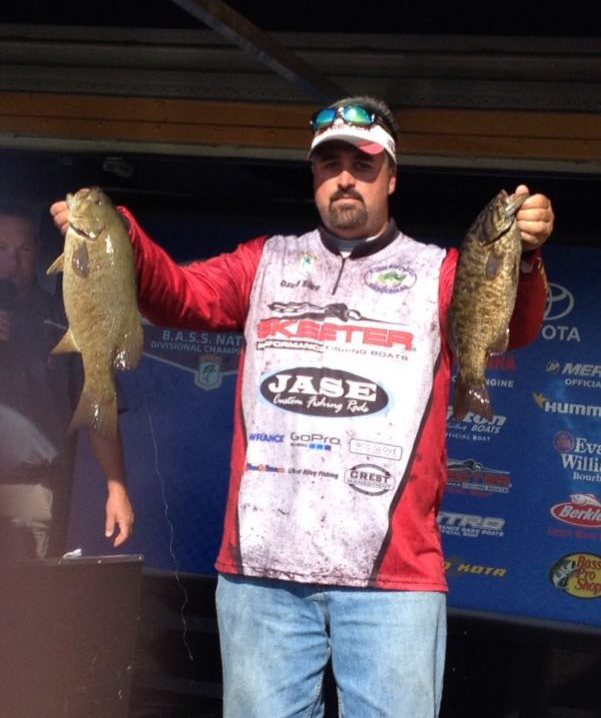 This love of bass fishing led him to the competitive world of tournament fishing. For the last 10 years he has been fishing in the R.I. Bass Federation which is the grassroots of the professional Bassmasters Elite Series. Over these years he has been lucky enough to qualify through local state tournaments to represent R.I. at the Bassmaster Eastern Divisionals with the chance of fishing the Bassmaster Classic. These experiences have resulted in meeting and cultivating relationships with some of the best fishermen and companies in the industry. David is currently blessed to be working with or sponsored by companies such as SuperFanTickets.com, Crest Management Co., Jase CustomRods, and Fishin Boyz Lures. Through the support of his wife Erin and children Joseph and Mackenzie, David continues to expand his fishing family, and he feels that the fishing community is a brother and sisterhood that benefits many. He feels that the opportunity to bring his passion to other fishing enthusiasts is what it is all about.